The McConnell Electric is a semi hollow electric guitar with a mahogany core. The top and back are made from solid wood, and are not carved, but stressed into an arch, similar to how an acoustic guitar is built. This results in a light and responsive body, which in turn translates into a rich and very woody tone. The guitar can be built with a floating back, which lightens the body further and enhances the responsiveness and woody character. It is a very versatile guitar, and a wide range of pickup options are available for different tonal palettes. Equally at home in jazz and blues settings, it can also be turned up loud for more aggressive scenarios. 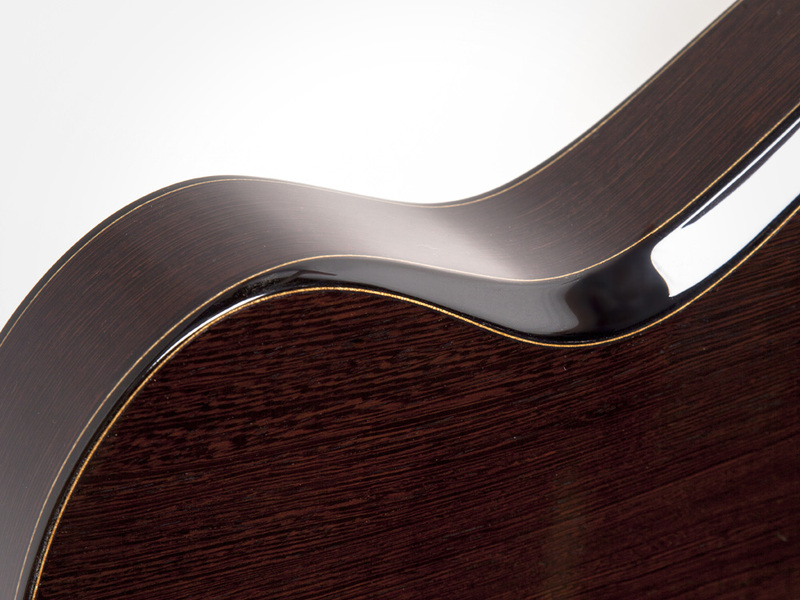 The basic model features a Sitka spruce top, with your choice of a selection of timbers for the back and sides including East Indian rosewood, Honduras mahogany, wenge, and Hawiian koa. The neck is Honduras mahogany and the fingerboard is ebony or Madagascar rosewood. All of the appointments, including pickup rings, knobs and strap buttons are ebony and made by hand. It can be built without f-holes, or with single or double styles as requested. Custom wide spectrum Bare Knuckle Mule humbuckers are standard, along with Bare Knuckle custom taper pots and paper in oil capacitors. Back, sides and top are all as customizable as my acoustic guitars, and each electric guitar is hand built, one at a time, to the same high standards of aesthetic detail and playability.